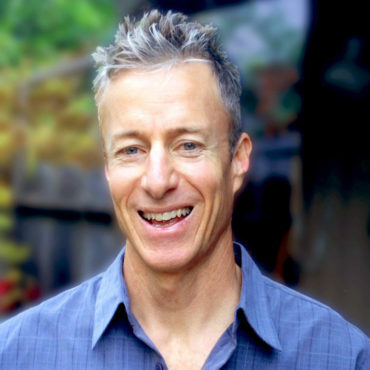 We are joined by Brad Kearns, host of the Get Over Yourself podcast, professional speedgolfer, co-author to the Primal Endurance and Keto Reset Diet with Mark Sisson, and a dude with a great sense of humor! Brad’s 2016 appearance on Endurance Planet, talking about his days as a pro triathlete and lessons learned. Behind Brad’s new podcast titled “Get Over Yourself” and why he chose this name and the theme. Mindset: What gets you going each morning? Kona dreams that didn’t happen. Speedgolf – Brad explains how it works, its similarities with biathlon, how it takes you out of your head, the creativity of it, and the anaerobic nature of the game. Keeping it fun and keeping yourself from getting too wrapped up in outcomes and results, especially after you’ve had a taste of victory and winning performances. Brad’s philosophy of maintaining a competitive intensity throughout life as a component of longevity. Our potential to get unhealthfully obsessed with data and results in their racing and how to redirect that intensity. Brad gives advice on how to keep yourself from letting this be an unhealthy obsession, and how to keep it real & fun instead. Brad’s DQ in Tahoe – a victory that was taken away, and moving past that. The experience was still rich! Tawnee’s IM Tahoe DNF but how the memories are still rich. Brad’s tendency to be overly positive at the price of not facing struggles head on. You don’t always have to be a positive spin, and too much of that can be unhealthy for you too! Deepak Chorpa said that being overly positive is a form of stress in itself. Tawnee talks more on meditation and the ability to see your thoughts and feelings without attaching to them. Tawnee on the “myth” of letting go, and what is truly meant by letting go. By meditating we teach ourselves not to react as intensely or attach ourselves to what comes to mind, be it thoughts or emotions. Reading in between the lines on what we record in our training logs. Do you make excuses? What do you share, and what that means? The problem with our “no pain no gain” society. Brad’s MAF training for speedgolf, which is an anaerobic sport. High stress training – we do it too frequently, check yourself before you burn out! Using races as speed workouts, which Maffetone promotes. The genetic component – you still have to push yourself every once in a while, not just in racing. But be patient and make recovery a priority. Don’t feel bad if you’re not “fast” yet aerobically (e.g. 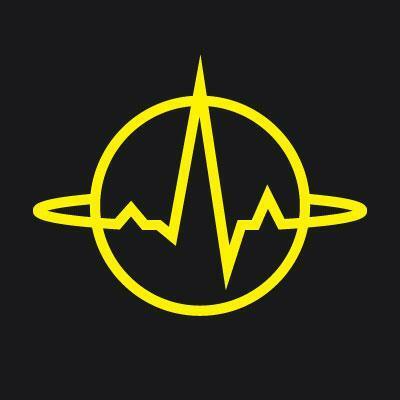 MAF pace), it just means you haven’t properly conditioned that component of your fitness; however, don’t make the mistake of trying to “hack it” by pushing more intensity. That isn’t the answer. Brad is in his early 50s, and used 142-145 HR for his MAF at first but that was too high and he noticed it was overtraining territory to keep that up so he switched to 130 or so. A lot of development happens at lower heart rates, even below MAF. Walking!! Going on a walk has value, and can contribute to your bigger fitness goals in making you a faster, healthier athlete. Brad’s testosterone (T) was tanked in his younger triathlon days (200-300 or so), but now as a master’s athlete with appropriate training stress and healthy diet/lifestyle, his testosterone has rebounded and is up to 1,000 serum levels. And of course, he’s adamant about keeping it ALL natural, he won’t even take Ibuprofen or caffeine. Free testosterone vs. Serum testosterone, and why you always want to measure Free T along with SHBG (which can bind to T). Brad’s blog on boosting T levels by minimizing workout stress. Reference to our friend, Matt Bach and his hormonal & healthy journey – listen to his story here. Is it that Brad might have that genetic gift that helped him to respond well to MAF, or is it just basic science that any of us can and will respond well to healthy training and lifestyle? Healthy hormones AND hitting key workouts – a conundrum. Joel Jamieson and his Recovery based training. Mindfulness incorporated into your athletic training. Brad’s love for cold therapy, but why Tawnee advises some warnings for certain populations (like women with amenorrhea). Rhonda Patrick cited a study that says: 20 seconds exposure to 40 degree F water can boost norepinephrine by 200-300% for 2-3 hours. Brad loves the contrast therapy – rotating between hot and cold. And it’s also his meditation practice, focus on breath. Ray Cronise says if end on cold water when doing this therapy (especially brown fat activation), but doesn’t have to be a black or white process. It is good to warm naturally though. Stay tuned for Part 2 of the conversation that will air in several weeks!